Is the "Yellow Peril" Dead? Ellen D. Wu is assistant professor of history at Indiana University Bloomington. She is the author of The Color of Success: Asian Americans and the Origins of the Model Minority, published by Princeton University Press as part of its “Politics and Society in Twentieth-Century America” series. 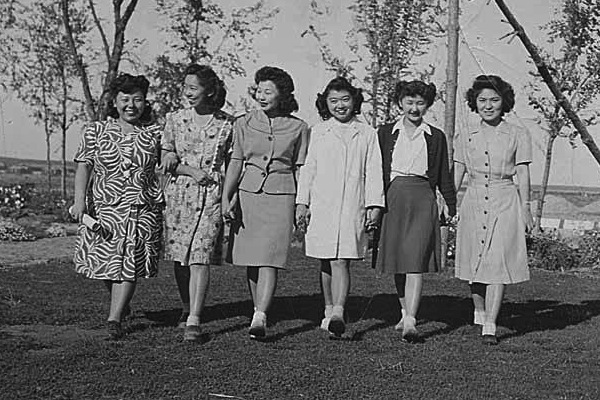 The Color of Success is the first full-length historical study of the invention of the “model minority” stereotype between the 1930s and the 1960s. Follow her on Twitter @ellendwu. Image via the Wing Luke Asian Museum. These days, China is everywhere. From the MSNBC to Fox News and all media points in between, chances are that one will encounter some story about the People’s Republic in any given issue or broadcast. And much of it is rather alarmist as journalists and pundits worry about China’s autocratic practices, its skyrocketing economy, and its growing military might. Americans are undeniably worried about everything from the PRC’s intolerance of freedom of expression, the environmental devastation wrought by its industrialization, and Chinese students filling the ranks of American colleges and even high schools. In October, a six-year-old guest on ABC’s “Jimmy Kimmel Live” infamously suggested that we should “kill everyone in China” to deal with China’s ownership of U.S. debt. All of this feels like Yellow Peril redux, a revisitation of older Orientalist fears updated for the twenty-first century. As a historian of Asian Pacific America who also happens to be Chinese American, this is a disquieting situation. As my colleagues in the field well know, foreign relations have long mattered for domestic race relations. The example of early Chinese immigrants vividly illustrates this point. In the late nineteenth century, the weak Qing state unsuccessfully fended off incursions by the Western powers. For Chinese nationals who had migrated to the United States and other locales (Canada, Australia, various countries in Latin America) this meant that they were relatively powerless to stop the implementation of the stringent legal and social practices designed to block people from China from participating fully in their adopted homes. These measures included bars to entry into the United States, prohibition from naturalized citizenship, occupational discrimination, residential and school segregation, anti-miscegenation laws and customs, lynching, and terrorism. Akin to Jim Crow in the South, the Chinese Exclusion regime lasted from the 1850s through the 1940s. Popular representations of “Orientals” as rat-eating, opium-smoking, sexually depraved, untrustworthy sub-humans provided the racial logic that justified Exclusion. The geopolitical demands of World War II finally broke the oppressive system. Congress repealed the Chinese Exclusion Acts in 1943 as a diplomatic maneuver to strengthen U.S.-China ties as the two fought against Japan. As a result, persons of Chinese ancestry were permitted a path to naturalized U.S. citizenship, while the legal immigration of Chinese resumed in small numbers -- a symbolic elevation to equality with European immigrants. Mobilization for total war pushed the state to emphasize widely racial tolerance and cultural diversity as a means to national unity. African Americans’ “Double V” campaign for victory over fascism abroad and racism at home especially helped to open to Chinese Americans previously restricted avenues for socio-economic advancement in industry and the armed forces. Yet even with this radical change in U.S. attitudes, most whites never dissociated Chinese Americans from notions of foreignness. Chinese Americans remained tethered to China in the public’s imagination -- shaky grounds for acceptance and full citizenship given the victory of the Mao Zedong’s Communist Party in China’s civil war. While Chinese Americans not break free of this linkage, the simultaneous existence of a “bad” China (the People’s Republic) and a “good” one (the Nationalists on Taiwan) after 1949 meant that they could position themselves as anti-communist disaporic Chinese committed to both Nationalist (“free”) China and United States. The PRC’s entry into the Korean War in October 1950 heightened the stakes of this project, and Chinese across the United States scrambled to divorce themselves from Red China. Conservative Chinatown leaders in particular masterminded this strategy to protect the community from anticipated McCarthyist repression -- many feared a mass incarceration analogous to the egregious racial profiling experienced by Japanese Americans during World War II. They launched a nationwide crusade against communism, establishing local “Anti-Communist Leagues” and planning demonstrations, parades, Korean War relief clothing drives, and other public spectacles to drive home the point that Chinese Americans were patriotic and loyal to the United States. These efforts were not entirely convincing. In 1956, federal authorities instigated a crackdown on unlawful Chinese immigration under the pretense that Communist Chinese spies were slipping into the country using false papers. The offensive -- involving mass subpoenas and grand jury investigations of Chinatown organizations, prosecutions, and deportations -- placed all Chinese in the United States (especially leftists) under suspicion. But assumptions of foreignness had payoffs as well as constraints for Chinese America in the early Cold War years. Racial liberals -- including savvy Chinese American spokespersons -- convincingly turned the community’s association with the “good” China into social capital in the 1950s. Amidst the country’s panic over juvenile delinquency, scores of journalists, scholars, and policymakers lauded ethnic Chinese households for raising exceptionally well-behaved, studious children. Look magazine (1958) marveled that “troublemaking” among Chinatown youths was “so low that the police don’t even bother to keep figures on it,” while the New York Times Magazine (1956) exhorted the nation to “try keeping up with the Wongs, Lees, and Engs.” These narratives gained widespread traction in part because they did anti-communist ideological work by praising American Chinatowns for being one of the last bastions of “venerable” Confucian culture that prized discipline, orderliness, and strict gender roles within the family -- a sensibility now ostensibly destroyed by Mao and his followers on the Chinese mainland. Depictions of ideal children and households helped to upend Exclusion-era “yellow peril” discourse, allowing Chinese in the United States heightened chances for national inclusion, social recognition, and day-to-day betterment. Significantly, such stories served as the basis for emerging conceptions of Chinese Americans as a “model minority” in the 1960s: well-assimilated, upwardly mobile, exemplars of “traditional” family values, politically non-threatening -- seemingly the very opposite of African Americans and other peoples of color. And while this was a problematic rendering -- it obscured the many problems that Chinese Americans continued to face, just as it countered the calls for structural change by African American civil rights and black power activists -- the “model minority” stereotype effectively decriminalized and “deghettoized” Chinatowns and their inhabitants in the national imagination. Chinese Americans effectively became definitively not-black in the nation’s racial order, an unheralded position that was the unintended outcome of the meeting ground between U.S. global ambitions, the black freedom movement, and the desires of Chinese Americans themselves to improve their life chances. The birth of the model minority, in other words, was as much a product of global as well as domestic forces. Thus, the Yellow Peril has never completely gone away even as the “model minority” has become the dominant stereotype of Chinese and other Asian Americans; rather, they are two sides of the same coin. As historian Gary Okihiro has aptly noted, “The Asian work ethic, family values, self-help, culture and religiosity, and intermarriage -- all elements of the model minority -- can also be read as components of the yellow peril. ‘Models’ can be ‘perils,’ and ‘perils,’ ‘models’ despite their apparent incongruity.” What happens “over there” matters deeply for us “over here” -- and what matters can quickly cross the line from the discursive to the material, from thinking to action. Students of Asian Pacific American history remember all too painfully the fatal beating of Vincent Chin by two white autoworkers on the streets of Detroit in 1982. Many observers and analysts concluded that the crime was racially motivated because the killers had “read” Chin as a stand-in for Japan and, by extension, threatening Japanese exports. (“It’s because of you motherfuckers that we’re out of work,” bystanders overheard them cursing.) And until Americans break away from the xenophobic notion that the “foreign” is always suspect and menacing, a proposal to “kill everyone in China” -- even when tossed out flippantly by a child on a late night talk show -- is no joke.